Although the application is open to all theoretical and applied work in the areas of finance and microeconomics, priority will be given to research papers in firm theory, theory of incentives and contracts, corporate finance, corporate governance, and research papers analyzing markets in emerging economies. All researchers with PhD degrees who are younger than 40 years old at the application deadline are eligible to apply for young researcher award. Coauthored papers are also welcome, as long as the applying coauthor satisfies the award application rules. Applicants who are PhD students at the date of application are eligible to apply for PhD student award. Applications must include one paper and the CV of the applicant. The first page of the paper should have an abstract. Papers and CVs can be in Turkish or English. Applications should be sent to orbayaward@sabanciuniv.edu in pdf or word format. Only original research articles not accepted for publication on the application date will be considered for the award. Papers under consideration for publication are eligible for application. Awardees will be asked to acknowledge the award in the published version of their papers and to present the papers in the award ceremony. In case of insufficient applications in desired quality for PhD student award, Jury has the authority to give the same award as second best young researcher award. 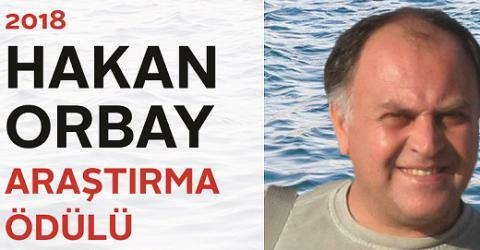 After graduating from Ankara Science High School in 1979, Hakan Orbay received his undergraduate degrees in Electrical Engineering and Physics from Bogazici University in 1983. He obtained his Master’s degree in Electrical Engineering from Calgary University and subsequently returned to Turkey to work in the Information Technology area of the banking sector between1988-1991. He kept close links with academia during those years and eventually went to the U.S. for his doctoral studies in 1991. After obtaining a Ph.D in Economics from Stanford University, Graduate School of Business, he worked as a faculty member at Koc University until 1999. Next, he joined the Sabancı School of Management during its establishment years and worked there as a faculty member until his untimely death in 2011. Hakan Orbay produced original research in microeconomics and finance and made important contributions to the establishment and development of the Sabancı School of Management, Istanbul, Turkey.